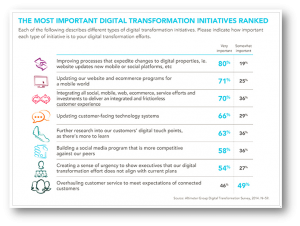 Alitimeter lasted post it their report “the state of digital transformation for 2014” is a highly recommended read. 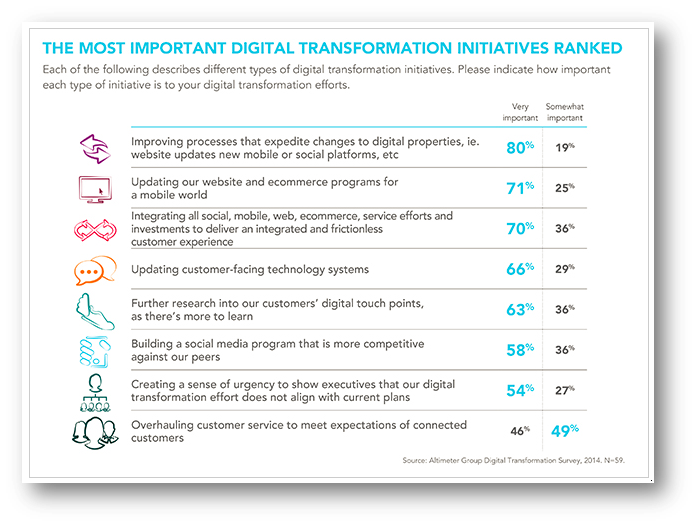 It was interesting to note that whilst 88% of organisations where undergoing a digital transformation, 42% percent of them had not mapped the customer journey but investing in digital channels anyway. 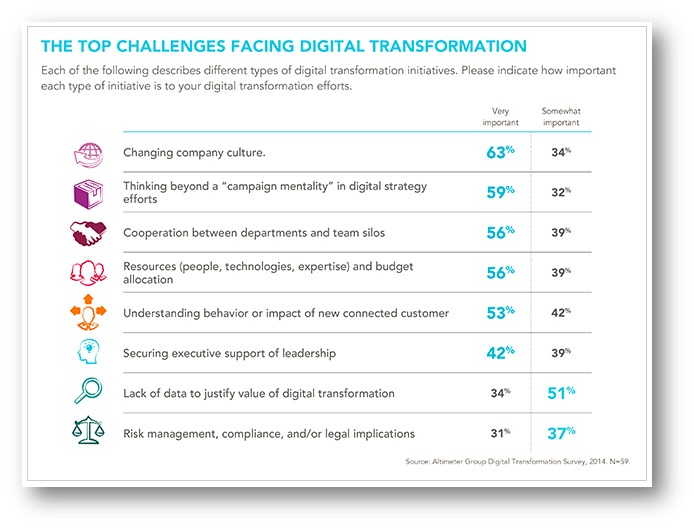 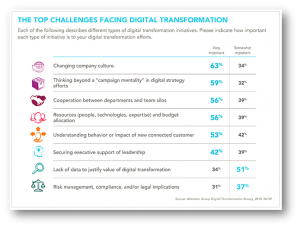 Also included in their post, Altimeter asked the participants to position the most common challenges that exist for digital transformation initiatives.